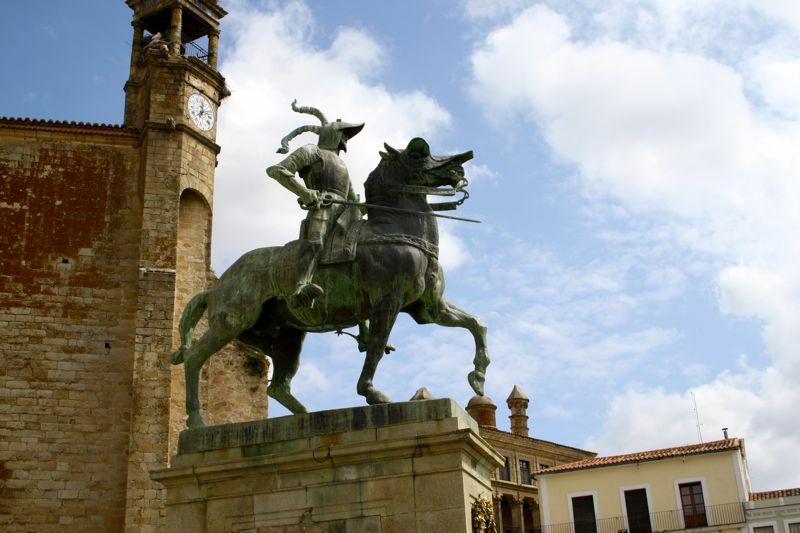 The Francisco Pizarro Horse Statue in Trujillo. Extremadura, Spain is a place my friends back home in the US have never heard of. For them, Spain is limited to Madrid, Barcelona, soccer, tapas and sangría— with the occasional (more cultured) friend mentioning bullfighting or flamenco. But when I started writing about my Easter week trip to Extremadura, I was really surprised that many of my American friends loved these posts. One friend even told me that he wants to visit Extremadura now (instead of Barcelona!) when he comes to visit. The peaceful Monfrague Park, somber religious processions of Trujillo, and 15th century looking Cáceres must have drawn him in– or perhaps it was the fact that he could take pictures of himself in Mérida and lie to his friends back home saying he had been in Rome (I don’t think they would know the difference!). When prompted to write something about a “nearcation”, a travel vacation destination within a 3 hour drive of Madrid, I knew immediately that I wanted to revisit Extremadura. Spain is awesome; there are many amazing day trips within 4 hours of Madrid, even some great weekend getaways, but for a week or more I’m willing to say that Extremadura is one of your best options. Wondering what to see in Extremadura? Full of amazing history, Roman and medieval ruins, monuments, fantastic food, charming towns, a national park with plenty of hiking, biking etc. the Extremadura region is diverse and simply gorgeous. 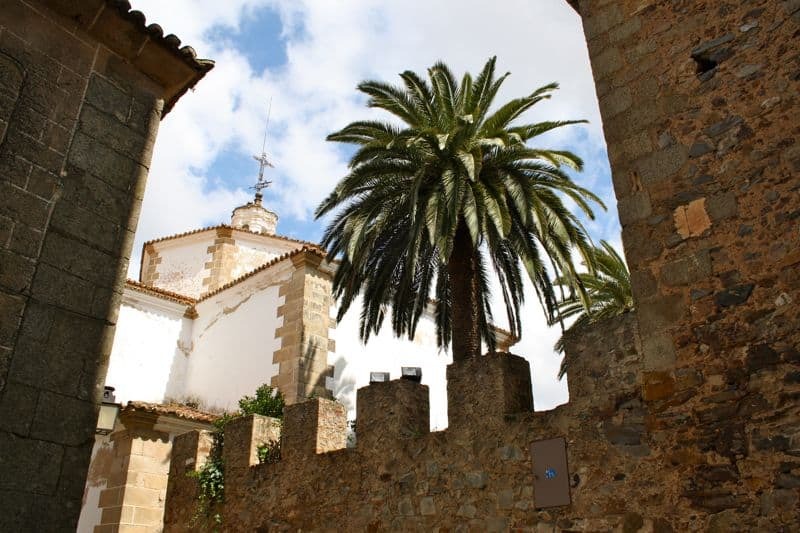 The three places you simply can’t miss in Extremadura are Trujillo, Cáceres and Mérida. Starting from Madrid you travel about 2,5 hours southwest of the capital to the small town of Trujillo. Charming Trujillo, Spain is full of history and famous for its stunning monuments. Home to a gorgeous Plaza Mayor, the birthplace of explorer Francisco Pizarro, and the annual meeting place for cheese lovers at its yearly Cheese Festival, Trujillo is the perfect place to spend a few days relaxing, walking around, and observing the locals in one of the Plaza Mayor’s charming cafés. 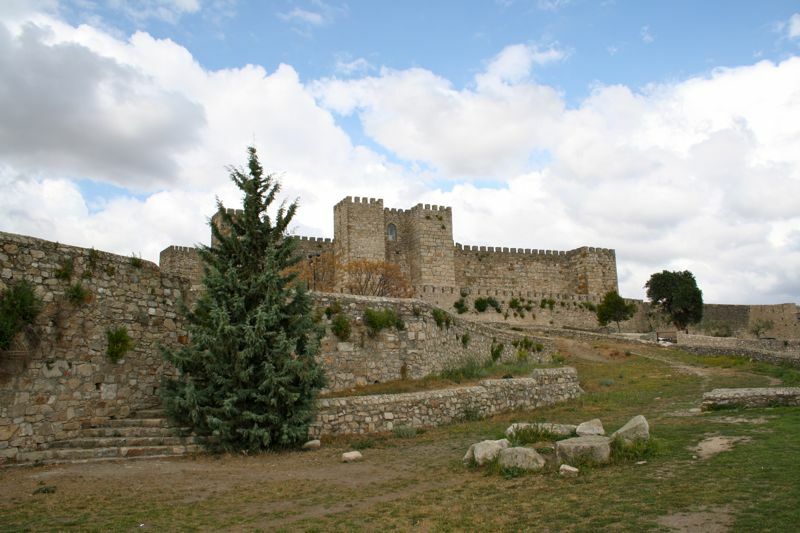 Coming from relaxing Trujillo our next stop is the city of Cáceres. The historic center of Cáceres is spellbinding– you literally feel like you’ve been transported back in time to the Medieval Ages. There is a famous monument everywhere you look, so don’t even bother with a map. I would recommend losing yourself in the labyrinth of small streets and seeing how many giant storks you can spy (they are some of Cáceres’ most famous residents!). The historic center of Cáceres. Your last stop is the capital of Extremadura, Mérida. Forget flying to Rome, Merida has Roman ruins galore without all of the pushy tourists. Deemed a UNESCO World Heritage Site, Mérida was once one of the most important cities in the entire Roman empire! 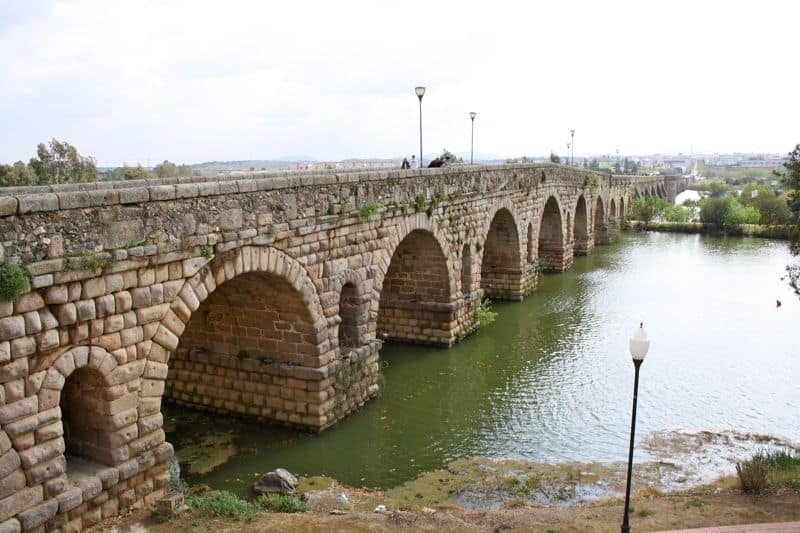 Its stunning Puente Romano is the longest existing Roman bridge in the world. If you live in Madrid and are looking for a nearby vacation destination, why not skip Ryanair this time and stay in Spain checking out Extremadura? Full of history, stunning monuments, great food and friendly people, it will not disappoint and, as a nearby option, is a lot lighter on the wallet! Where do you live and where would you choose to go on your “nearcation”? Please share! 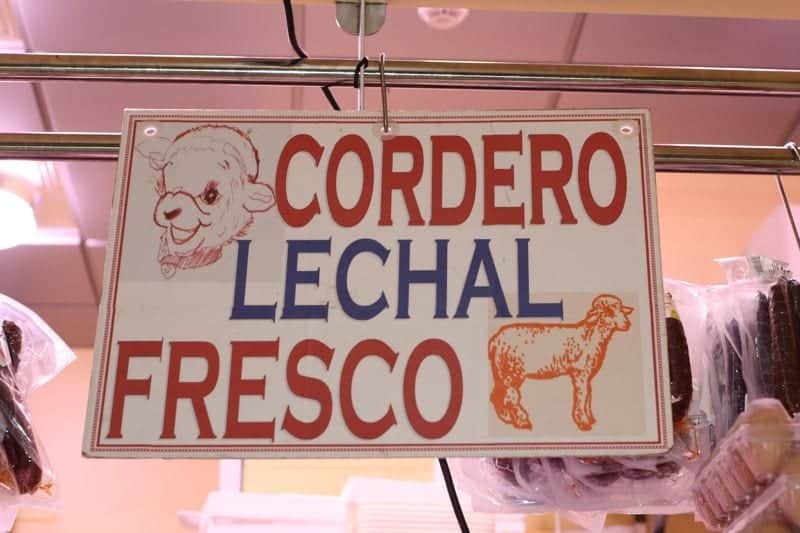 I wonder why so many Spanish place names appear in Mexico. I’m sure they also have a place called Merida. Does this name mean something special? I think it was probably people from Mérida, Spain who ended up naming Mérida in Mexico during its colonial period. Many of the Spanish conquerors of the Americas came from Extremadura and called new cities there after their places of origin. 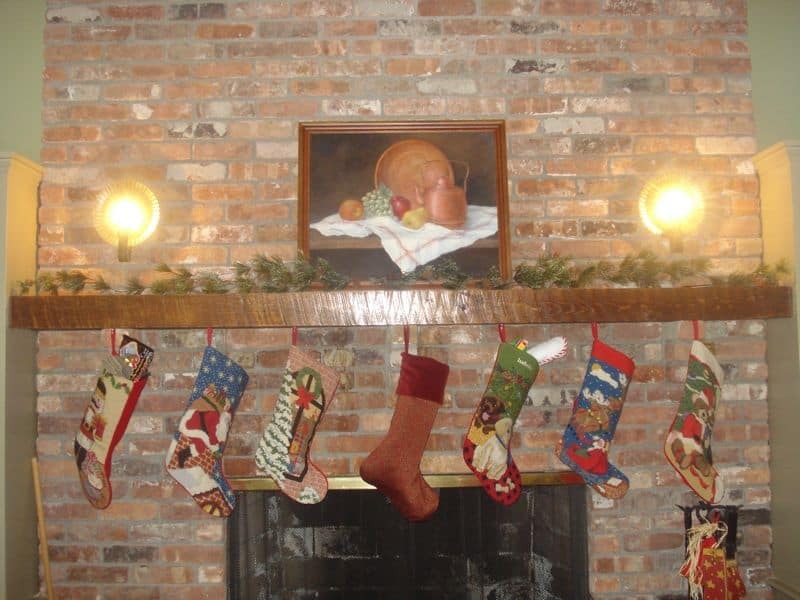 Thanks Irene! Very interesting. The Americas in general are filled with so many European names! Glad you decided to do this!! I snowed when I was in Merida in April – gawd it was cold! – But there weren’t many other tourists! Ever since I saw photos of Mérida I’ve wanted to plan a trip to Extremadura. Thanks for the other recs, too; hopefully I can spend a (long) weekend exploring this region since Madrid really isn’t that far away! We are close to the Spanish border, and have often adventured in your direction. Thanks for sharing a few destinations off the beaten path. Interesting area. I recently read a book about Spanish history which pointed out that many of the great conquistadors of the New World (Cortez, Pizarro, etc.) came from Extremadura, but the wealth they sent back to Spain isn’t reflected in their home towns. It would be interesting to visit. PS- Yes, there is a Merida in Mexico (on the Yucatan peninsula), and I agree, it was probably given that name by Spaniards who missed their homeland. That’s so funny, about a year ago two friends and I did a puente trip to Extremadura (we were also living in Madrid at the time)! We hit up these exact 3 locations. I think we were also trying to figure out how to get to Guadalupe but we didn’t have a car. So we had to plan our trip around the bus schedules and the bus routes. We started in Trujillo, spent 2 nights in Merida, and moved on to Caceres the last day. There isn’t that much to visit in Extremadura for tourists; in fact we were the only English speaking tourists for miles! But it is an interesting part of Spain to visit. Extremadura has great things for all sorts of travellers and this guidebook will introduce you to the natural splendours of this beautiful region, explain the mechanisms behind them, and direct you to the best places to witness it all for yourself. Detailed descriptions of hiking trails and car routes are conveniently linked to information on everything you want to know about the whats, wheres and whys of Extremadura’s splendid nature. The CNIG (Centro Nacional de Informacion Geografica – Spain’s equivalent to the UK’s Ordnance Survey) walking map of Monfrague National Park in Extremadura Spain. The map has contours at 10m intervals, vivid relief shading, and colouring/symbols to indicate various types of terrain and vegetation. It highlights tourist information such as campsites, sport and leisure facilities, places of interest, etc. The map contain a 1km UTM grid, plus latitude and longitude margin ticks at intervals of 1’. This map includes a 62 page booklet, illustrated with numerous colour photographs, IN SPANISH ONLY with descriptions of recommended hiking routes, lists of campsites and other accommodation, etc. The guide also contains lists of useful addresses, including accommodation, notes on the park’s history, flora and fauna, and safety rules and recommendations. This map also indicates locations for bird watching. Thanks for the article. I am going to Madrid next month and I’m looking for some great entertainment. I love Caceres, Trujillo and Guadalupe. Authentic places to visit.